We are a modern new practice with patient needs at the centre of everything we do. That's why we use our experience and knowledge to provide so many services. It will be a relief to many of our patients that we offer NHS dentistry. And as you might expect of a state-of-the-art practice, we can promise patients will be well looked after when looking for teeth whitening, cosmetic dentistry or dental implants. We're easy to find and friendly to deal with. So if you, your family or friends are needing our help, just let us know. 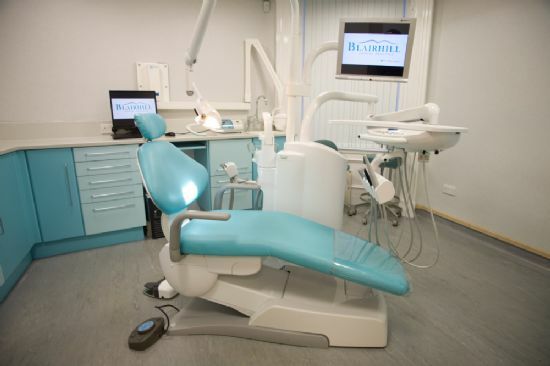 Blairhill Dental Practice: providers of NHS Dentistry; teeth whitening; cosmetic dentistry; dental implants; sedated dental care; and all with a professional, caring touch!